A number of pages on our site is illustrated by videos, showing mostly equipment in action. You can find many videos in Virtus Equipment section with shredders, granulators, briquetters and compactors chewing variety of materials. Outstanding Ener-Core technology for converting previously unusable methane gases to electricity features very professional whiteboard video simply explaining the basics of the process and power station configuration. Our streamline advanced pyrolysis ENCORE technology also leaves no doubts in it after watching the real video on converting municipal solid waste (MSW) to electricity. 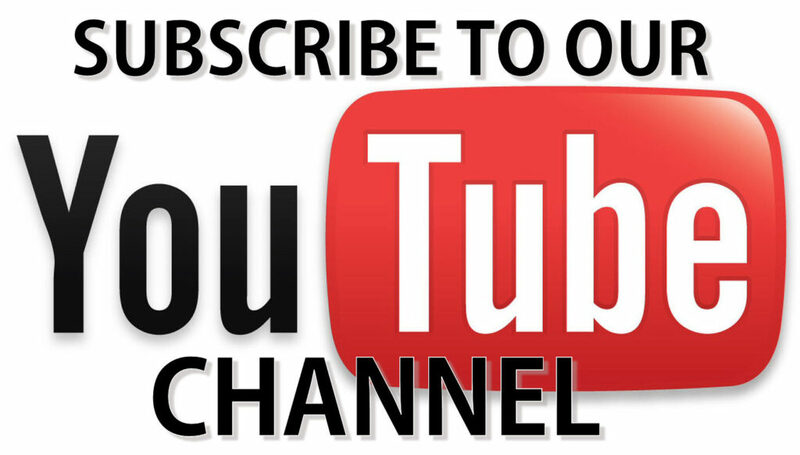 So we decided to place all our videos to Waste to Energy International YouTube channel. Watch it, subscribe to it, share it! The right question is – why to subscribe? Sometimes we have additional video materials for products not presented on site yet. For example, at the moment of publication, we have Hammer Mill video presentation. This product is available for purchase but still not properly described on site. Another reason is to watch our minor but curious videos presented in Playlists. So far we have Best of the Web in 2014 compilation and, what is more important, rally racing relating Playlists. Watch the Subaru Team Russia Winter Cup 2015 announcement. This Cup is supported by Waste to Energy International (WTEI ), what is reflected in our news. If you are rally racing and/or Subaru fan, it is good to know that we will keep you updated with fascinating videos about dramatic winter rally racing season in Russia. Stay tuned for professional waste management videos and magical movies of the most scenery sport! As sales representative of Virtus Equipment in Europe, Waste to Energy International (WTEI) announce new line of size reduction equipment – Liquid Extractors/Compactors. The LE Series liquid extractor/compactor has been designed for recycling of any liquid filled container, paper, cardboard, organics, wood, steel and aluminum cans. It is highly successful in removing liquids from food, beverage, household products and cosmetic packaging. The high compaction ratios achieved substantially increase the capacity of the waste containers. The reduced volume greatly reduces the number of times the container must be emptied. 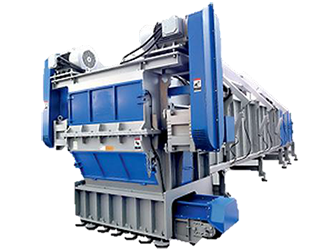 It can provide a waste processing solution for a variety of other purposes. It is available in “dry” or “wet configurations and can accommodate a number of discharge options. Visit product page to know technical specifications and watch 5 videos, showing machine working with ice cream containers, oil containers, paper sludge, mixed paper, and paper tailings. Nobody likes a slow site. Providing customer-oriented services, we have chosen the world leading hosting platform named WPEngine. For more than one year already, we have excellent service and support. 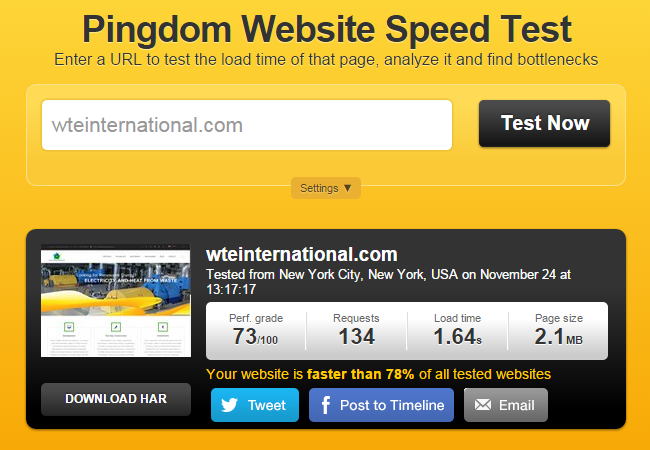 In last month, we made serious optimization of our site, revised the code on most pages to get the better response time. Finally, our efforts required cooperation with WPEngine team. And it was really awesome! In one day, we got extensive analysis of bottlenecks in our code and highly professional advises. As a result, site performance was boosted nearly twice. Many thanks to WPEngine outstanding support team! We are really happy to cooperate with you. 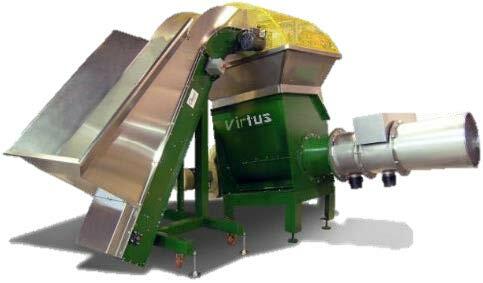 To satisfy customers’ requirements, Virtus Equipment gradually expands product line of waste processing machines. Now briquetters U Series was added by a high throughput U75 Briquetter. New machine is designed for briquetting wood shavings, sawdust, straw and others. It shows outstanding throughput for voluminous applications: 800-1000 kg/hour. More information and downloadable brochure are available on the Briquetters page of our site. 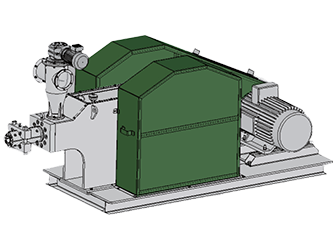 Additionally, new product line is added – Large Diameter Continuous Shredders. It is designed for shredding of large diameter pipes or bundles of smaller pipes and profiles made from HDPE, PP and all kinds of PVC. Further the machines can be used for recycling of other plastic parts, such as large lumps, stacked wheelie bins and pallets. In combination with other size reduction equipment such as granulators and pulverizers we are able to provide a complete turn key recycling solution. Watching of video with operating P Series is highly recommended; please visit the product page by the link above. A number of new videos was also added to Virtus Equipment section: wireless phone grinding by A series granulator, tires recycling, shredding carpet and insulation, briquetting powder etc. Virtus Equipment continuously updates product lines, so in the nearest futures we expect hammer mill and liquid extractor equipment to be presented on our site. Stay tuned!